The 2019 Kona is the more affordable of the two crossovers, with a starting MSRP of just $19,990. The Kona costs thousands less than the Kia Niro, which starts at $23,490. When you're saving for a down payment, the Kona is the more attainable model. Depending on loan structure, choosing the Kona can potentially lower your monthly payments and help keep your budget on the right track. The Niro may cost more up front, but its hybrid powertrain will help you get through a long commute on a slim budget. The base model happens to be the thriftiest; it's EPA-rated for 52 city/49 highway mpg. The 2019 Hyundai Kona isn't a hybrid, but we have to give it credit for balancing strong acceleration with reasonable fuel economy figures. The Kona's highest EPA figures come in at 28 city/32 highway mpg. In fact, the Kona's strong acceleration and sporty handling are segment standouts. This crossover also offers optional all-wheel drive, traction-enhancing performance gear that you won't find on the Niro. Driving enthusiasts may find that they prefer the Kona, even if it's not the thriftiest of the pair. Besides having a lower MSRP, the Kona also comes standard with a longer list of comfort and convenience features. The Kona has an extra USB port, for example, so you can charge two devices at once. You also get a sound system with six speakers instead of the Niro's four. The Kona also comes standard with some high-tech safety aids that you won't find on the base Niro (keep reading). Of course, there are some modern features that these crossovers have in common. 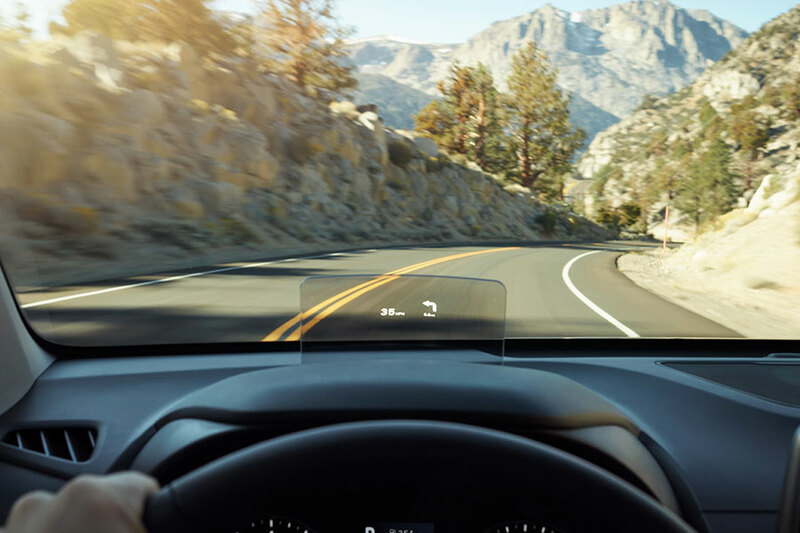 Both come standard with Apple CarPlay and Android Auto, so you can keep in close contact with the goings-on of your smartphone without actually looking away from the road. 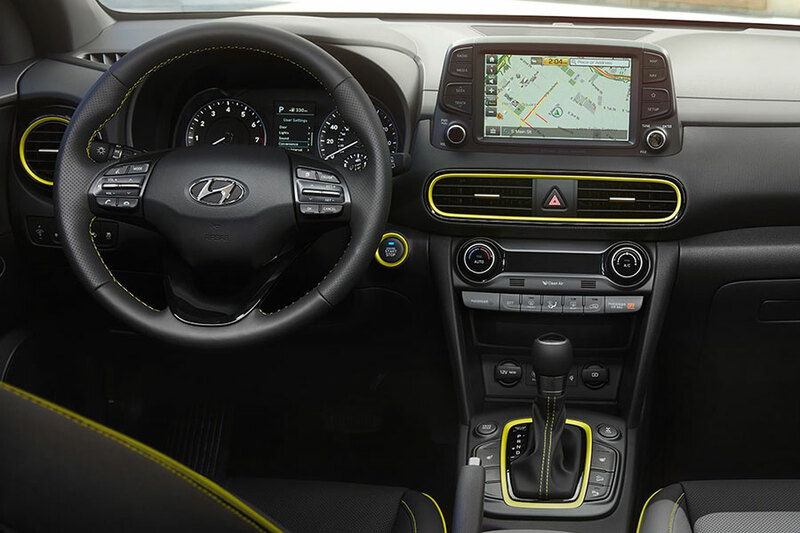 Each has a 7-inch touchscreen infotainment interface for easy access to maps and music apps. This year, every single Kona trim includes important safety aids. The forward collision warning system and automatic emergency braking functions are especially notable. This technology has the potential to bring you up short of an accident, and you get it at no extra cost. Lane keeping assist can sense when you've accidentally strayed from the proper lane and guide you back to safety. There's also a driver attention monitor, which knows when you're feeling sleepy and lets you know that you should pull over and rest ASAP. If you think having a fairy godmother or a guardian angel would be a good addition to your driving habits, the Kona's safety tech can seriously take that place in a pinch. 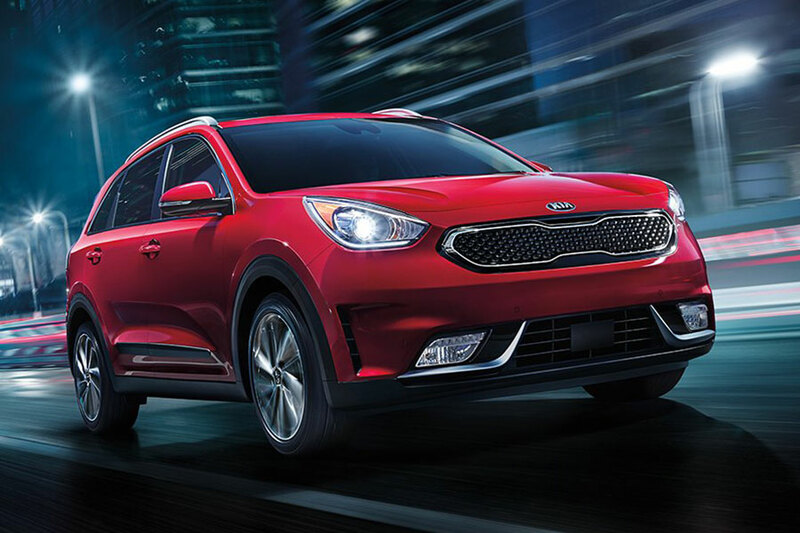 With the exception of the driver drowsy system, the 2019 Kia Niro includes these safety features on its mid-grade LX trim level. That essentially means you have to pay more for the same passenger protection the Kona gives you for a lot less. So there you have it. The 2019 Hyundai Kona definitely scores more points overall, though we have to admit the Niro's fuel mileage is excellent. When you choose the Kona, however, you get a lot more for your money--and you save money on upfront costs to boot.